Home » Legal Library » What is a Mass Tort? A mass tort is a civil action involving many plaintiffs against one or several corporate defendants. Mass torts are created when plaintiffs have suffered similar injuries due to the same product or class of products. Mass tort litigations are often launched when defective consumer products, including prescription drugs and medical devices, cause harm to many individuals. A mass tort might also be formed when a single disastrous event, such as an oil spill or a train derailment, injures many people. In either instance, the creation of a mass tort will enable multiple victims to sue one defendant (or several defendants) whose negligence caused or contributed to the harm they have suffered. When any type of mass tort program is established, all cases involving similar products, injuries and questions of fact are transferred to a single judge for the purpose of coordinated, pretrial proceedings. This coordination facilitates the efficient progress of the litigation by preventing duplicative discovery into common issues, as well as inconsistent rulings from various judges who are overseeing similar cases. As such, a mass tort proceeding helps to conserve the resources of the courts, parties and witnesses involved in the litigation. How is a Mass Tort Established? Both state and federal courts have set forth procedures for the creation of mass tort programs. 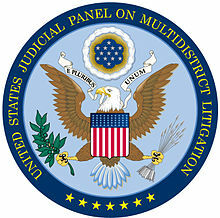 In the federal court system, such proceedings are called Multidistrict Litigations. Names for these centralized litigations vary on the state level. Once the mass tort is created, any pending eligible claims will be transferred to the new proceeding, as will any filed in the future. While both are collective actions, mass torts and class action lawsuits are actually very different. In a class action, every member of the class will have suffered virtually the same injuries and will be entitled to nearly identical compensation. In a mass tort, however, there may be vast differences in the severity of and types of injuries suffered among the various plaintiffs. As such, mass tort plaintiffs are each treated as individuals, and each case is judged on its own unique merits. Looking for a Mass Torts Attorney?